I find there are so many wonderful women with so much inspiration out there, so I wanted to give you some insight from another fashionista. So, meet Pamela of Pamela’s Pantry. Based in Orange County, California, she is a 30 year old fashion blogging girly girl who loves anything leopard print, pink, and on sale. When she is not shopping for the latest fashion trends, she spends her time running a learning center for students. She shops for pieces that are versatile enough to wear to work as well as out for dinner and a movie. She’s all about the classy styles. “Nothing beats a flattering pencil skirt and some pearls”, says Pamela. 1. Be Patient– patience is the key to bargain shopping! When we step into a discount store, we must be prepared to search multiple racks that may not be conveniently organized according to size. One by one, we must take the time to sort through every item and check the size inside the garment (do not always trust what the hangar says) until we come across that wonderful gem of an item we have been searching for! 2. Do not get discouraged– as frustrating as it may be to search and search and leave empty handed, do not give up. All good things take time. So while some shopping trips may be a bust, others we will hit the jackpot! Marshalls – Blue Calvin Klein ruffle dress. All photo credits to her new husband. Newlywed bliss. 4. Be consistent– if we want success in anything, consistency is extremely important! It is no different for bargain shopping because these stores get hot new items weekly. Check back in when new arrivals have hit the racks to grab first dibs on the most up to date trends. 5. Sharing is caring– do not be afraid to let your girls in on your bargain shopping successes! If she compliments your darling new sweater, a friendly whisper of “I got it at Ross” will only prove what a great fashionista you truly are. Your girlfriends will invite themselves on your next shopping trip to take notes, and before you know it you will all be laughing and having so much trying on the cutest discount pieces. 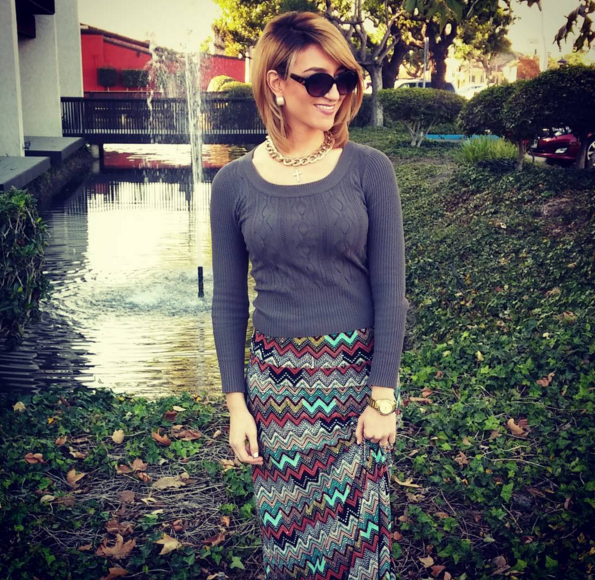 No matter the season, shopping for less is ALWAYS in style. 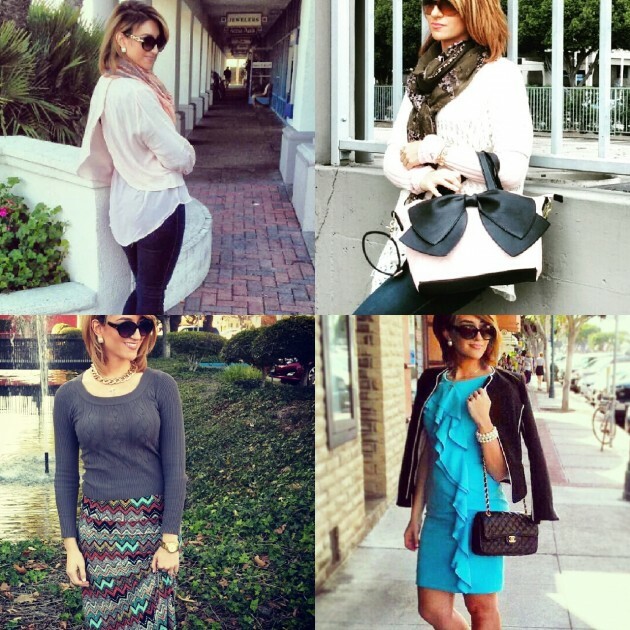 For more of her day to day bargain style looks, be sure to check Pamela out on Instagram. Don’t forget to subscribe to her YouTube channel for her talk through tips on in-home hair dyeing, makeup, and styling. https://www.youtube.com/user/PamelaPantry. YummoMummo note: I’ve had a not so fun time with my colorist of late, so I had to take matters into my own hands and I loved Pamela’s tips and tutorials on home hair coloring. *The content of this blog post was written by Pamela. Anything in Italics are the words of YummoMummo. Great post Melissa! 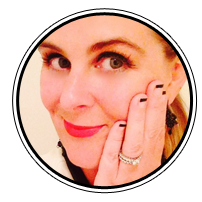 Thank you for sharing this fab blogger with all of us – you know I’ll be following her now as well! I can’t agree more on your tip; “i need a black dress tonight” so so true. Also shopping with a goal is a great strategy as to not get sucked into buying something “just because its a great deal”.